If you were in the Ham area of Kingston before 1992 you’ll remember the Hawker Aircraft/British Aerospace factory on the Richmond Road, just south of Ham Parade. The eight-acre factory was constructed in 1917 by the government as an urgently needed national aircraft factory, on land requisitioned under wartime regulations from Lord Dysart – despite strong opposition by the then Ham Urban District Council. It was immediately leased by Kingston’s Sopwith Aviation Company which supplemented its skilled workforce with large numbers of women and injured soldiers to build hundreds of their latest Sopwith Dolphin and Snipe fighter aircraft through the final months of the Great War. By 1920 Sopwith no longer needed this extra factory and the government sold it to Leyland Motors which was to own it for 38 years. Through the Second World War Leyland used its engineering facilities for military products from water trailers to land mines and incendiary bombs. It also built Leyland Lynx army lorries, tank gun turrets and some complete Leyland Centaur tanks. After the war it turned to making chassis for trolley buses. Meanwhile in 1920 the Sopwith Aviation Company had gone into voluntary liquidation but had immediately re-started under the name of its co-designer/test pilot Harry Hawker. The Hawker Company was increasingly successful through the 20s and 30s designing and building fighter aircraft not least the Hawker Hurricane – so crucial to winning the Battle of Britain. 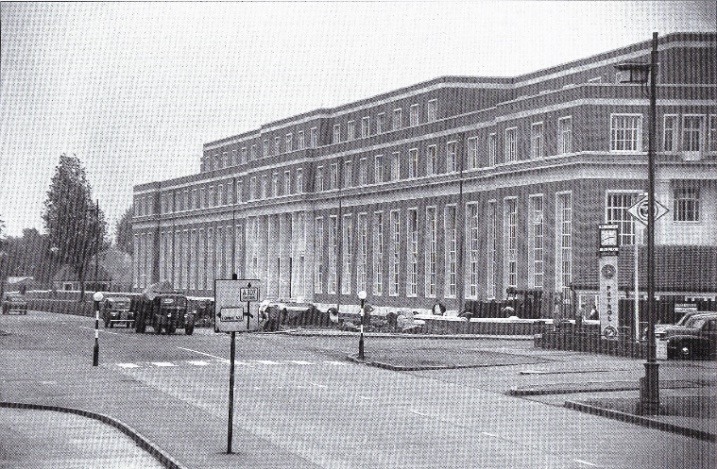 By the late 1940s with potential orders for jet fighters The Hawker Company was looking for a large site to co-locate the teams and facilities from its main Canbury Park Road factory in Kingston and its satellite factory at Langley, near Slough. Despite having no airfield, the Ham Works was an obvious choice and it was bought from Leyland Motors for £500,000. The Hawker Company was soon building the world speed record-breaking Hawker Hunter fighters in their hundreds, many of them for export. All the aircraft were taken by road to Dunsfold airfield in Surrey to be flown. The unique vertical take-off and landing Harrier “jump jets” followed the Hunter into production and in various versions almost 1,000 were built for the RAF, the US Marine Corps and other export customers. The last aircraft designed and built in the factory was the Hawk advanced jet trainer, equally successful and well known as the aircraft used by the RAF Red Arrows display team. In 1977, when Hawker Siddeley Aviation had grown to own half of Britain’s aircraft companies, it was nationalised as part of British Aerospace. Harrier manufacture continued on the site until it was closed down in 1992 at which time unemployment in Ham went from 5% to 15%.